And it is almost official. We have been hearing in the recent past that at the Nokia World which is Nokia’s Annual event where the Finnish giant is known to announce new devices, will be announcing its new Windows Phone 8 running smartphones. 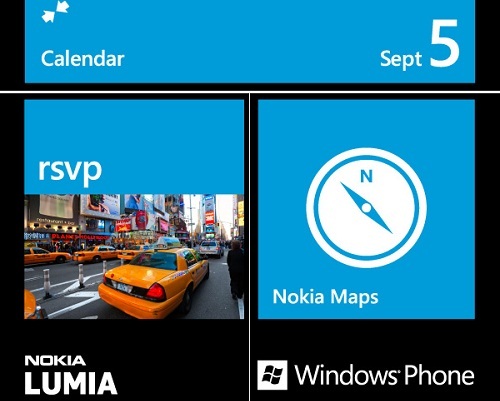 And last night, Nokia and Microsoft have sent out formal invites to the media inviting then to an event scheduled for the 5th of September back in New York. The invite speaks out loudly the combo of Nokia Lumia and Windows Phone all over and even features the new resizable Live Tiles which is to arrive with Windows Phone 8 smartphone which also hints at the launch of WP8 running Lumia smartphones. We are expecting Nokia to take the covers off its new WP8 Lumia smartphones and Microsoft to reveal more features that Windows Phone 8 OS would bring in. Back in June when Microsoft announced the WP8 OS, the Redmond based company only revealed limited features of the OS and since then has kept the cards close to its heart. And at the Nokia World, we expect MS to reveal a little more on WP8 over Nokia Lumia smartphones. There has been one Lumia smartphone caught in the wilds which seems to be a prototype in testing which we are expecting to be made official at the Nokia World along with a couple of other smartphones. Until the official announcement on September 5, we expect more leaks and rumours over the specs of the smartphones to keep us entertained. Until then mark the date and stay tuned to us.